Knowing which palette to use when painting a bathroom is important. Here are some tips on how to balance color in the loo. Picking a color for your bathroom is more complicated than choosing from a large wall of color swatches. There’s a right way and a wrong way to choose the color on your bathroom walls. For example, going with your favorite doesn’t guarantee that it will mesh with the rest of your design and make sense. There’s a little more thought that needs to go into choosing your color, and understanding palettes is the first place to start. This type of color scheme involves choosing one color and then playing off of the different shades within the same family. A room that features this type of palette is usually incredibly relaxing and soothing. This is a great way to choose bolder colors, like reds and oranges, without having them be too overwhelming. As long as you include some softer and lighter shades of the color, the room will balance out perfectly. With this type of palette, you can easily incorporate different colored amenities and furniture that will really pop against the provided background. If your bathroom color palette features colors that are similar but more than just a few shades different, it would be considered analogous. A great example is the color palette that Mother Nature displays in the fall. The oranges, reds and yellows go together but they are definitely more than a few shades away from each other. If you can’t decide on just one color, this is a great palette to consider. Another popular option involves browns, tans and golds. This creates a sophisticated bathroom that isn’t too busy for a small space. If you choose two colors that complement each other but aren’t necessarily related, you have a complementary color palette. Even though the colors are completely different, neither overshadows the other or sticks out like a sore thumb. A black and white bathroom is a common example of this type of palette but you can choose more fun colors. Think: red and blue or yellow and green. As long as the brightness of the colors is similar, the palette will work. 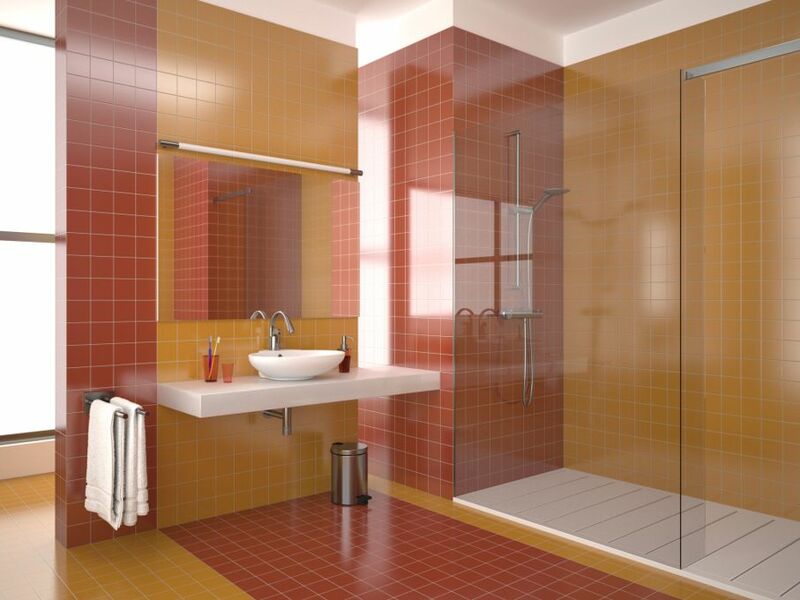 If you want to avoid a common bathroom color scheme, a triadic color palette could be just what you need. This type of palette is bold and fun, and allows you to choose three colors that are completely different from each other. Think of dark brown walls, cream colored vanities and bright pink accessories. This is just one example of the never-ending list of color combinations that you can come up with. 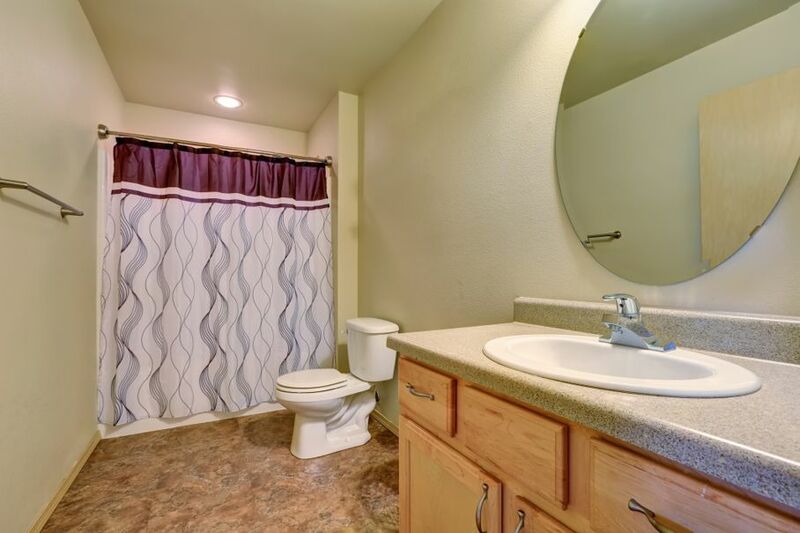 Remember that when choosing colors, it’s not just about the floor, vanity surface and walls. Your towels, accessories and even lighting fixtures are all areas where you can add a burst of color. Most bathroom designers avoid bright reds, hot pinks and intense greens and opt for more neutral colors. This is why the neutral color palette is probably the most common. If your ideal bathroom features shades of beige, brown and tan, then a neutral color palette is just what you need. 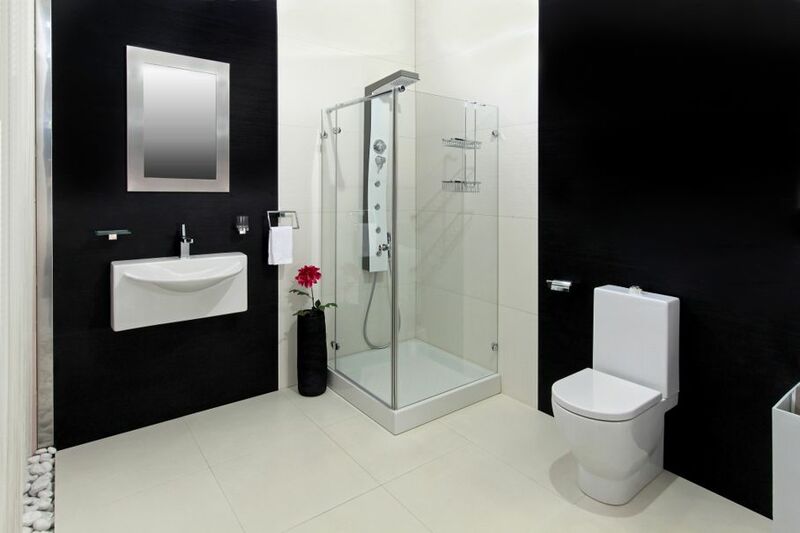 Your bathroom will feel calming, inviting and will remain modern for years to come. 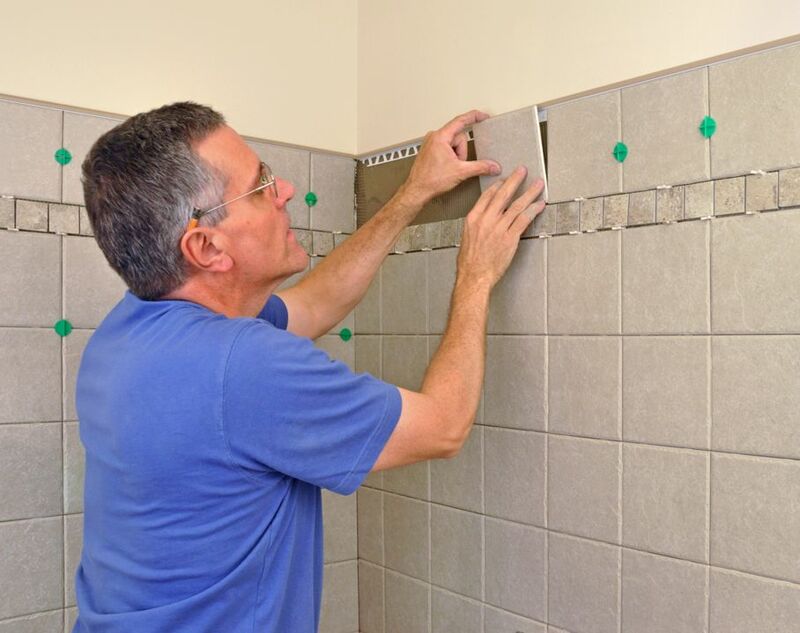 This is an ideal choice if you are remodeling your bathroom with the hopes of selling your home. So now that you have an idea of the color palette you want to stick with, how do you know if tile or paint is right for you? There is no correct answer and each has its own benefits and disadvantages. Here is a quick comparison of the two that should help you make a decision. Remember that different colors can change the entire feel of your bathroom. 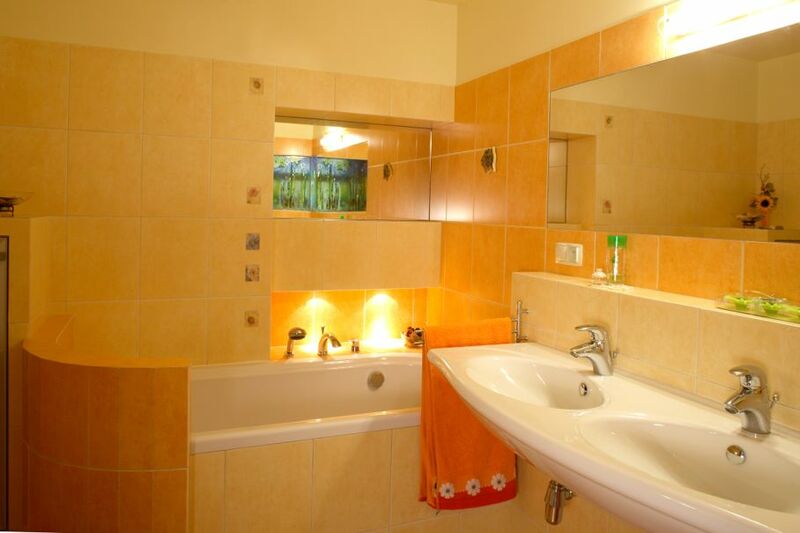 For example: reds, yellows and oranges will give off a warm tone while blues, greens and purples will help a bathroom to feel more relaxing and cool. You should choose warm colors if your bathroom design features a natural theme with materials like wood and stone. If you have a nautical or ocean inspired bathroom, cool colors are ideal. 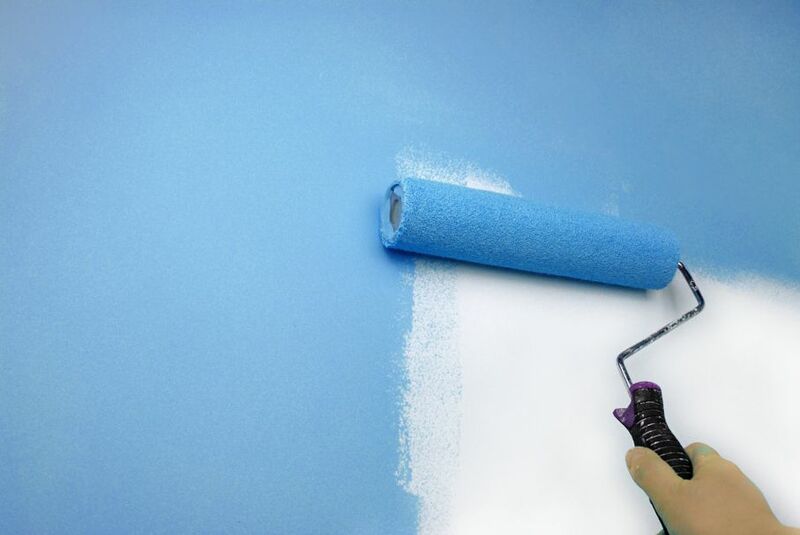 You surely have a favorite color but that doesn’t necessarily mean it belongs on your bathroom walls. Put some thought into the color of your bathroom and you’ll be forever pleased with the results.